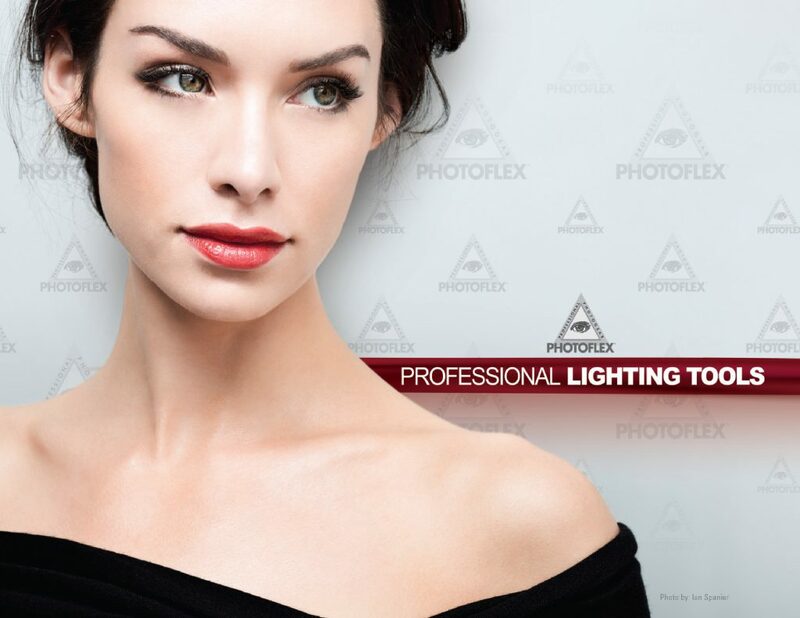 A well-established and widely-respected name in the photo and video industries since 1978, Photoflex offers light modifiers of every kind, to meet the needs of the commercial and portrait photographer shooting strobe, the location photographer shooting with large lights or small shoe-mount flash, and the videographer and small-product photographer shooting with hot lights and LED lighting. Light modifiers encompass the HalfDome, LiteDome, OctoDome, and MultiDome softboxes, as well as grids to further refine the light, in numerous sizes, with fittings for a wide variety of flash heads. 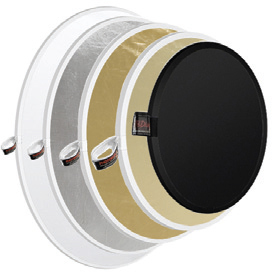 There are also many collapsible reflectors, among them our MultiDisc and LiteDisc, as well as LitePanels, individually or in kit form. And then we have umbrellas with varying reflecting surfaces, as well as shoot-through and adjustable-shape umbrellas. Among the products rounding out the offerings from Photoflex are our FirstStudio. The FirstStudio is designed to give the studio novice the needed working tools at affordable prices, without compromise in quality or versatility. In addition, we offer our very own StarLite QL tungsten fixture and lamps. Prospective end user/applications: photo and video pro and aspiring pro photographers, photo/video enthusiasts and students, shooting at home, on location, or in the classroom. …is the leading MANUFACTURER of equipment and accessories for photography, videography, and digital imaging. PromarkBRANDS other brands include Cool-Lux, Dot Line, Logan, Norman, Photogenic, Photoflex, Quantum Instruments, Radiopopper, Smith-Victor, and Speedotron. PromarkBRANDS is a company deeply steeped in a tradition of support for our customers. We place great emphasis here at PromarkBRANDS on the quality and diversity of the BRANDS we own. That’s why we’ve incorporated BRANDS in our name. We help make pictures and video look their best and we also want you to look your best. At Smith-Victor we developed the first viable powder flash system. 100 Years later our Cool-Lux LK2020 was chosen by NASA as the first video light on the Space Shuttle and also nominated for an Oscar. Radiopopper designed the world’s first radio TTL flash system. Honeywell chose Smith-Victor to help light Boeing 747 jet wings. We help the NBA slam-dunkers look their best with arena lighting powered by our legendary Speedotron 2405 which is used in the most demanding lighting situations in the World. And we’ll always provide the best products and service to every one of our customers no matter what the situation.